One door closed, BUT a better one opened. I walked right through it and purchased my first home. So, do not get discouraged over a house, promotion, job, relationship or opportunity that did not come your way. I have learned that sometimes NO simply means NOT NOW because God has something better in store for you. I’m grateful for doors that closed on relationships. Had they not closed, I would have missed out on one of the best things that happened to me – my husband. I’m grateful for the doors that closed on jobs I thought I wanted. Had they not closed, I would have missed out on the opportunity I have now to get paid for something I would literally do for free. God has a plan for our lives and it does not always look the way we imagined. However, we must trust that His plan is to prosper us, not harm us. So many times, when doors close, we spend so much time banging on them that we miss the open door right next to it. Maybe the door closed because we would not be able to handle what is on the other side. Maybe the door closed to strengthen, or prepare, us for the doors to come. Maybe the door closed to protect us. So, the next time a door closes in your face, instead of being discouraged, BE ENCOURAGED! See it as a blessing, a protection, or an opportunity for something greater to happen. I really needed to read this today. I’ve been having a tough time in my own business endeavors really narrowing my mindset and avoiding anxieties, and going back to God is always the thing to make me feel a bit better! Absolutely True! When I look back I am always thankful for the doors God closed. I’m always grateful too 🙂 Thanks for stopping by! Great, great! I’m in a closed door season and I love this! Thank you so much for sharing. 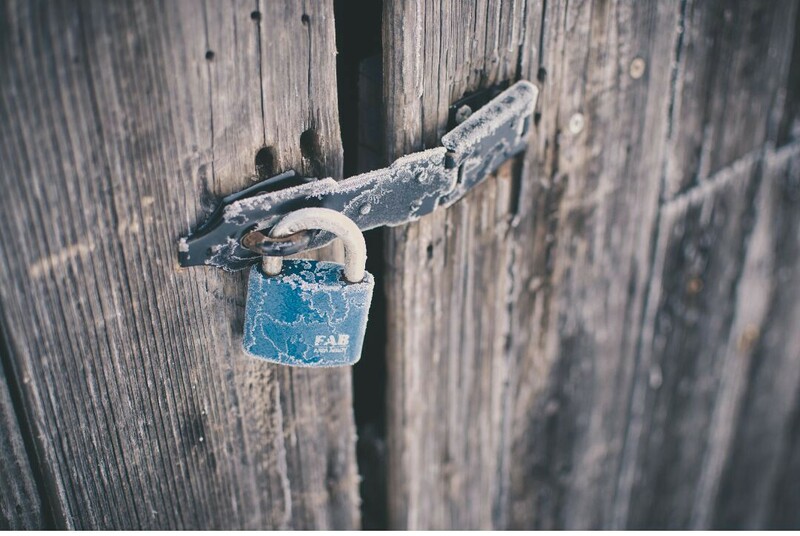 I just blogged about my discouragement over a few closed doors, but as you said there is a reason and we serve a faithful God. Amen!! We do serve a faithful God. I’m grateful for it. I’m sure the other side of this closed door will be amazing for you. Thanks for sharing and stopping by! Hi from the Peony Project! Thank you for this sweet reminder. I’ve had a door close recently and though it was a struggle at first in accepting it, it has been a great opportunity for me to learn to trust in what God is protecting me from and now with this Joel Osteen quote, what God is protecting me “for”! Be blessed! Hi Bree! You’re not alone. I’m definitely learning to trust Him more too 🙂 Thanks for sharing and stopping by! Hi Robin! Believe me I understand. In the moment it doesn’t feel good, but when we see the outcome, it’s all worth it in the end. Thanks for stopping by! Hi Chelsea! Thanks for stopping by! I am glad you’re encouraged. Have a beautiful day! Hi Mandi! Wow! That’s awesome that you heard a similar message twice. God loves you so much He wanted to be sure you knew He has it all under control for you! 🙂 It was encouraging for me to hear that a sermon you heard was similar. It just confirmed that I did hear from God when I wrote this. Thank you for sharing and stopping by! Thank you for this encouraging reminder! I often look at closed doors and think, “What would have happened if I had been able to walk through into this room?” But I know where I am right now, I am the happiest I have ever been, I am growing and peaceful and content. I am thankful God opened all the doors to lead me right here for right now. Hi Nina! Thanks for sharing and stopping by! I’m excited for this awesome place you are in with your life. I pray you continue to grow in joy and peace! YES! It is such a hard lesson to learn, but one that is oh so true. For each door that closes, no matter how discouraging, God has a plan. And it may not look the way we were hoping but we can rest assured that it is for God’s glory. Amen!! You’re so right – it is for His glory! Thanks for stopping by. Thank you for the kind words and for stopping by! Have a great day! Great reminder! God’s plans are always greater then what we can see with our eyes! So true Esther! That’s why we have to be patient and trust Him as we go through the process. Thanks for stopping by! Hi Julienne. Thanks for visiting. I hope you were blessed. Have a beautiful day!